What Is a Dreadlocks Salon? Stylists at a dreadlocks salon specialize in the creation and care of the hairstyle. A dreadlocks salon is a professional studio where stylists create, maintain, and sometimes remove dreadlock hairstyles. Most of the time, dreadlock services are kept separate from other hair care and hair cutting tasks. Stylists usually need expertise and special training in dreadlocking, and salons are often specially designed to make the time-intensiveness of most procedures more bearable. Dreadlocks salons are also some of the premier vendors of dreadlock care products, including waxes and optimized shampoos and conditioners. There are typically two styles of dreadlocks, known commonly as “organic” and “manicured.” An organic style is often rather messy. Locks are formed largely by nature when people do not brush or wash their hair for extended periods, and only comb it to define the individual strands. Salons usually provide a much neater approach to the same style by providing carefully groomed or manicured locks with intentionality. Creating dreadlocks is often one of the main services performed at a dreadlocks salon. From start to finish, the dreading process often takes at least five hours, often more depending on hair length. Salons typically play upbeat music or have televisions or movie players available to help clients pass the time. Stylists will work with the client to create a look that is either ordered or messy, depending on individual preferences. Even the messiest styles are usually well organized at their core, however. The professional touch of a dreadlocks salon stylist usually makes for healthier hair that is easier to care for and maintain than it would be if it was left to be truly organic. Dreadlocks are a hairstyle that requires little day-to-day styling, though routine maintenance is very important. Each dread is basically knotted, matted hair. As new hair grows, it must be encouraged to weave into the already-established strands, a process known as “locking in.” It is possible for people to lock new growth in on their own, usually by applying special dreadlock wax or other salon products. Salons usually provide this service, as well. Most people who have dreadlocks keep the style for at least a year. Dreadlocks salon stylists usually recommend that clients come in for regular maintenance every couple of months, much as would be done for a regular haircut. During these sessions, stylists will monitor lock growth, apply professional products to encourage growth, and trim and shape individual strands as needed. Salon hair care is not usually required for dreadlocks, but can go a long way in preserving the integrity of the style. The easiest way to remove dreadlocks is simply to cut them off. Individuals wishing to save their hair but lose the style often seek out dreadlocks salon help. Undoing the locks is usually as time-intensive as setting them in the first place, often more so depending on how much new growth there is and how well the dreads have been maintained. Trained professionals can usually do a better job of salvaging hair that has been locked than individuals could on their own. How Do I Choose the Best Dreadlocks Salon? What Are the Different Types of Dreadlocks Hairstyles? 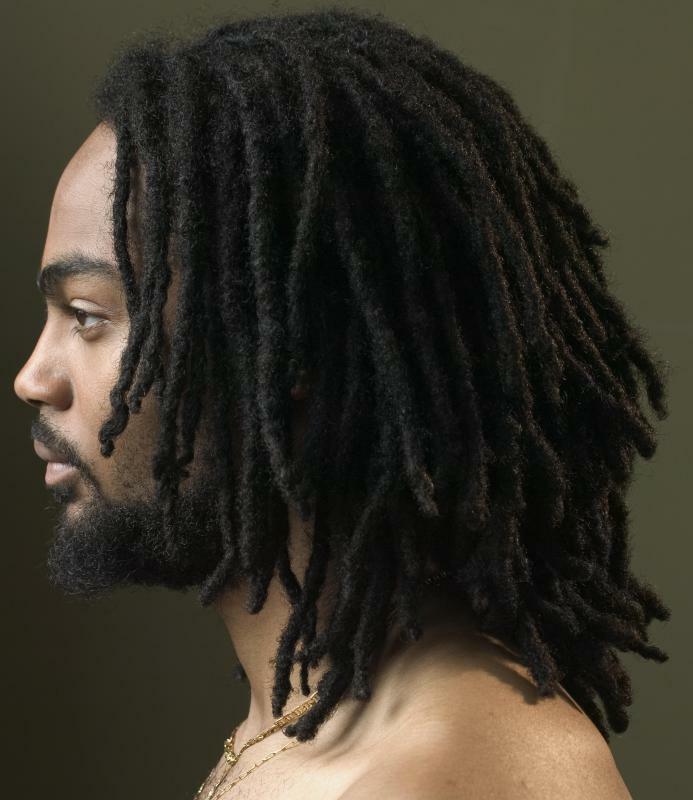 What Are the Best Tips for Washing Dreadlocks? Want to know the real deal about African and Nubian locks, the natural hair as worn by Africans before and during the Egyptian era? Oh yes, those Egyptian hairstyles are locks! Come to international locks conferences. Our hair is a circular entity, not matted but growing naturally in a circular pattern. It dreads in the morning when we wake up. Also, the Hindus have a god that has dreads; Buddha curls are dreads. Go to the true sources and there is no messy or unattractive styles, just our beautiful nappy hair.